Fans of Sarah Dessen will devour Robin Benway's story of romance, coming-of-age emotion, and heartache, now in paperback. He’d thought, all these years, that his dad was the good guy. He never knew that it was his father who kidnapped him and kept him on the run. Discovering this, and finding himself returned to his old hometown, has his heart racing and his thoughts swirling. 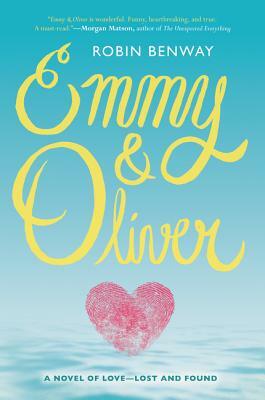 Emmy & Oliver is wonderful. Funny, heartbreaking, and true... just like life. Robin Benway has written characters I felt like I’d known forever, and was so sad to see go. A must read. “This realistic and painful story... twists and turns... until the bittersweet, yet perfect, ending.